For the temporary relief of sinus congestion and pain, nasal congestion and runny nose. White capsule shaped tablet with flat edges 17.5mm x 7mm. 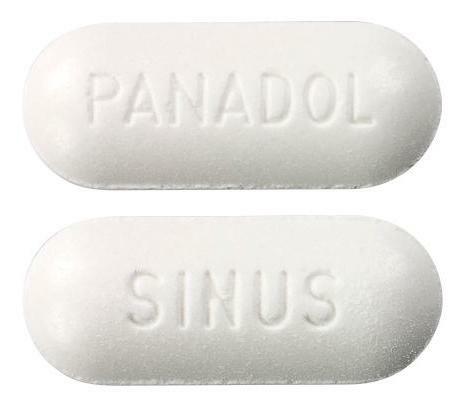 One face marking PANADOL, SINUS on the other side.